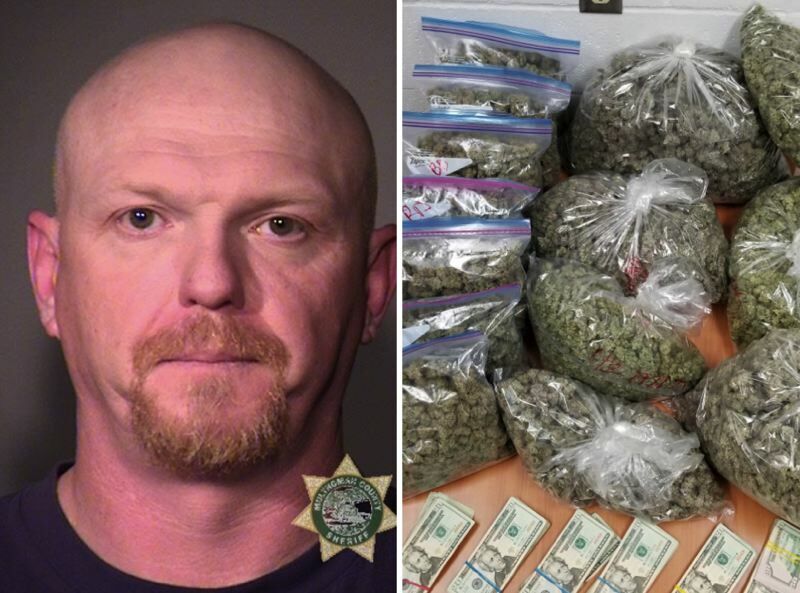 A driver allegedly trucking piles of the green stuff — in this case, cash and marijuana — will face charges after being pulled over for a traffic stop. The Portland Police Bureau says the incident began around 9:10 p.m. on Sunday, Feb. 3 after a swing shift East Precinct officer stopped a Honda Civic near Southeast Foster Road and 130th Avenue. Police allege the driver, later identified as Jason Travis Hatch, had a felony warrant. But police say they also discovered baggies and baggies of marijuana inside the car, plus about $6,000 in cash. Court records show that Hatch — a 44-year-old Seaside resident who told jailers he works part time as a plumber — has an open case in Clatsop County for allegedly unlawfully purchasing a gun and providing false information during the firearm transfer. Police lodged Hatch on new charges for delivery of marijuana within 1,000 feet of a school and possession of a felony amount of marijuana, though court records indicate that proscutors are not pursuing those charges. Hatch has four misdemeanor convictions on his record, according to court docs.